Your bedroom should be the place you crave after an end to a long day. Your bedroom should be your own personal oasis that is filled with all the things you love. At Encore, we are prepared to help you create the bedroom of your dreams with our affordable and convenient bedroom furniture sets. 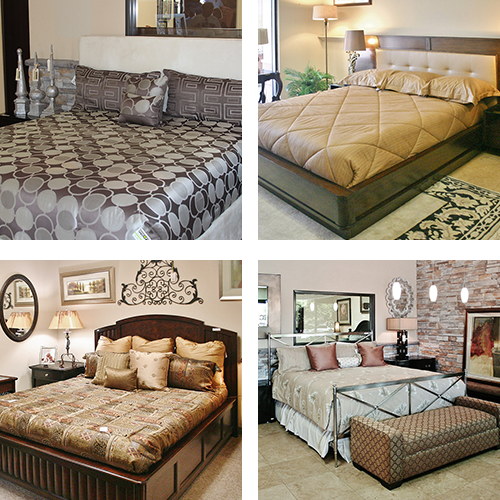 With bedroom furniture sets, you can create a fluid design in your space with ease. In our showroom, you will find an abundance of bedroom sets that can be personalized with your own bedding and other home accents. If you have a bedroom furniture set that is unused or gently used that you would like to see in our showroom, we are here to help. We are prepared to assist you in the resale of your furniture with our vast marketing platform. By simply sending us a photo of the items you would like to consign with us, our design experts can start reviewing your furniture and get in in our showroom quickly. When you consign with us, we will strategically stage your furniture to maximize visibility and ensure that you find the right buyer for your item. If you are ready to get started or want to learn more about our consignment process, click on the button below. Decorating your bedroom can be a daunting task when going at it alone. When you walk into our showroom, you will have a shopping experience unlike any other. Our staff is composed of design specialists that are dedicated to assisting you in all of your design needs. They can navigate you through our expansive 23,000 square foot showroom to ensure you find the best bedroom furniture at the right price for your budget. For beautiful, consignment furniture, backed by a higher level of service, we invite and encourage you to visit us today.